Najib Danish, Afghanistan's Interior Ministry spokesman confirmed that a five star hotel is under attack by gunmen. 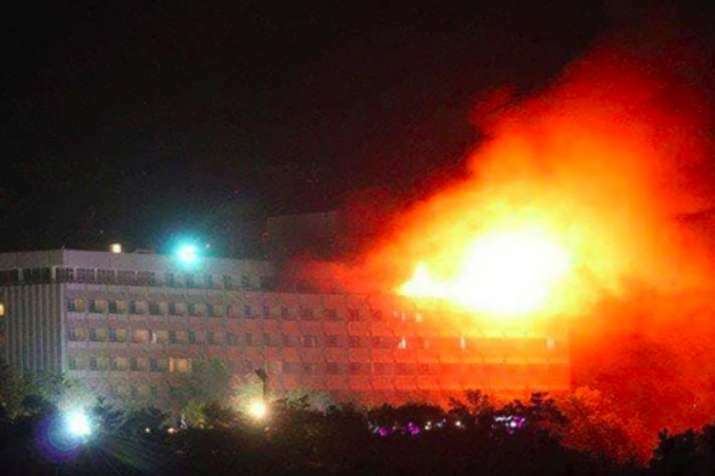 At least four gunmen stormed into Kabul’s luxury Intercontinental Hotel, shooting at guests and staff and setting the building on fire, officials said, as security forces battled to neutralise the attackers in the more than eight hours long assault which is currently underway. Special forces were lowered by helicopters onto the roof of the landmark hilltop hotel during the night-time siege, interior ministry deputy spokesman Nasrat Rahimi said, adding two attackers had been killed. 02:40 pm: Taliban claims responsibility for attack, reports AFP. 02:20 pm: Afghan media says Taliban claim responsibility for Kabul hotel attack. 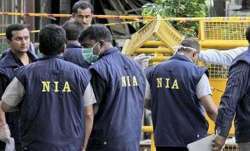 The group claims five attackers were involved in the incident. 01:30 pm: Afghan media says gunfire shots can still be heard from the hotel, hours after the government said the siege was over. 12:02 pm: Afghan government says the siege is over but clearance operation is ongoing, reports TOLO news. 11:50 am: Kabul Interncontinental Hotel siege ends, all gunmen killed, Reuters quotes government as saying. 09:55 am: More than 100 people stuck inside have been rescued till now. Security agencies are still searching for the remaining 1- 2 attackers, reports TOLO News. 09:45 am: At least five people have been killed in the Kabul hotel attack, AFP quotes Afghan spy agency. 06:55 am: Two of the four attackers have been neutralised. Encounter between gunmen and security forces is currently underway. 06:47 am: The attackers have set the hotel on fire. 06:42 am: As per latest reports, at least 15 hostages have been killed in the firing by gumen, an eyewitness said. Special forces were being lowered by helicopters onto the rooftop of the hotel, he added. Afghan media is reporting multiple casualties in the attack. "The operation will soon end and the attackers will be killed," interior ministry spokesman Najib Danish told AFP. Authorities are already investigating how the attackers got past security which was taken over by a private company two weeks ago, Danish said. Abdullah Sabet, an official at the communications and information technology ministry, said IT officials from around the country were staying at the hotel ahead of a conference today. Security at the Intercontinental, which is not part of the global InterContinental chain, is relatively lax compared with other high-end hotels in Kabul. A conference on Afghanistan-China relations was held in one of its function rooms earlier yesterday, attended by the Chinese embassy's political counsellor Zhang Zhixin. An AFP reporter who attended the conference passed through two vehicle security checkpoints. At the entrance to the building there was a physical inspection that could be easily evaded by scaling a low-level barrier and entering the lobby. Security alerts sent in recent days to foreigners living in Kabul warned that "extremist groups may be planning an attack against hotels in Kabul" as well as public gatherings and other locations "where foreigners are known to congregate". Security in Kabul has been tightened since May 31 when a massive truck bomb ripped through the diplomatic quarter, killing some 150 people and wounding around 400 others --mostly civilians. No group has yet claimed that attack. The Islamic State group has claimed most of the recent attacks in the Afghan capital, but authorities suspect that the Taliban-affiliated Haqqani Network has been involved in some of them.